For those who feel like they need to “earn” Antarctica, this might be a more attractive option. Each year, the U.S. Antarctica Program, acting through the National Science Foundation, employees around 3,000 people on the continent. 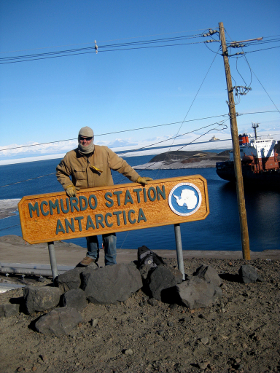 This includes both scientists, who carry out specific research projects, and general laborers, who support the science staff and contribute to the upkeep of McMurdo, the U.S. station on Ross Island. The responsibility for staffing the majority of these jobs, in turn, belongs to Raytheon Polar Services. They’re the ones that accept applications. You can browse current openings and apply through their website, or do so at a handful of Antarctica job fairs held throughout the U.S.
As of this writing, the majority of opportunities were in hardware engineering and healthcare services, with an average of 2-4 years’ experience required. Here’s the trick: YOU NEED TO GO TO ONE OF THE JOB FAIRS! If an applicant simply submits an online application, it’s sure to be lost in the shuffle. They get a LOT of applications. If you want a job, you have to show up in person and impress people. 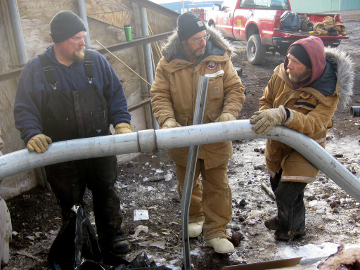 You also have to be enthusiastic about ANY job…janitor, dishwasher, etc…and know that you’ll be working very long hours at tough, tough work in exchange for an opportunity to live on the ice. The job fair locations and dates are updated periodically on the website. I think they hold them once a year, in a couple different locations (Denver, Seattle, Alaska when I last checked). I, for example, had to fly to Denver from Louisiana for the job fair I attended. You have to want it that bad! If the upcoming job fairs aren’t currently posted, it might be possible to call the main office in Denver (look on the website above for the #) to see if they can tell you the proposed dates. Bring copies of your resume and letters of recommendation to the job fair. Be ready to interview. If you get a follow-up interview and are offered a job, make sure you diligently jump through all the hoops: dental exam, physical, etc…if you don’t get all that done on your own, you’ll lose your spot! Going as a scientist is much trickier, as it involves securing funding from NSF. For more, check out the current Grant Proposal Guide. Citizens of the UK also have an avenue for finding employment in Antarctica: the British Antarctic Survey, which staffs stations in the Falklands and on South Georgia Island as well. For further information on the realities of working in Antarctica, check out the private webpages Jobs in Antarctica and Antarctic Employment, and the Werner Herzog documentary Encounters at the End of the World. Scientists, engineers, and nurses aren’t the only professionals invited to bring their services to Antarctica. Liberal arts graduates can score a ticket, too. One opportunity is for members of the media, who get to report from the continent for a week or two in late Jan/early Feb each year. Applications are due the previous Oct (just missed it this year). Chosen journalists have to pay their way to Christchruch, NZ, but from there everything is covered by NSF. Applicants must submit the equivalent of two printed pages detailing specifically what they plan to cover while in Antarctica… Focused applications with thorough reporting plans that indicate solid working knowledge of the U.S. Antarctic program and its science goals stand the best chance of selection… Applications should also include the outlet(s) and media types (television, online, print, etc.) that the eventual reporting will appear in, and anticipated audiences reached through the reporting. NSF also conducts the Antarctic Artists and Writers Program, which is intended to “enable serious writings and works of art that exemplify the Antarctic heritage of humankind.” If you’re thinking about applying, check out the list of past participants and the works they produced as a result of their time in Antarctica. And finally, a handful of lucky undergrads get to work in Antarctica each year through NSF’s Research Experiences for Undergraduates program. There are a number of applicable fields, though not all involve travel to the continent. The University of Canterbury at Christchurch has a 14-week postgrad certificate program in Antarctic studies. 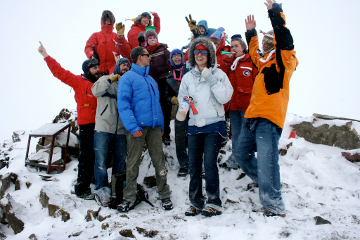 The coursework includes a “fieldtrip” to Antarctica. Tuition for international students ain’t cheap — NZ$24,315. Antarctica is no longer the final travel frontier. Read about How to Travel to Outer Space.